Automatic quality evaluation of Web information is a task with many fields of applications and of great relevance, especially in critical domains, like the medical one. We move from the intuition that the quality of content of medical Web documents is affected by features related with the specific domain. First, the usage of a specific vocabulary (Domain Informativeness); then, the adoption of specific codes (like those used in the infoboxes of Wikipedia articles) and the type of document (e.g., historical and technical ones). 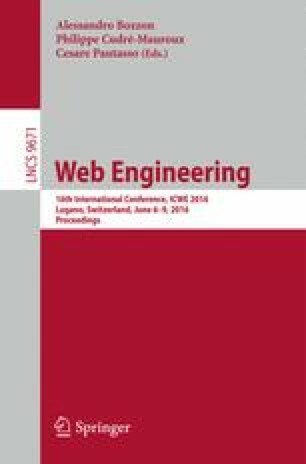 In this paper, we propose to leverage specific domain features to improve the results of the evaluation of Wikipedia medical articles, relying on Natural Language Processing (NLP) and dictionaries-based techniques. The results of our experiments confirm that, by considering domain-oriented features, it is possible to improve existing solutions, mainly with those articles that other approaches have less correctly classified. Work partly supported by the Registro.it project My Information Bubble MIB.